Uber like Taxi App is now on demand to run a Taxi business. Standing on the street and waving hands to catch a taxi is the sight we had less seen these days. The advent of the Uber like taxi app and its competitors changed our approach to the ride-hailing transportation services. It encouraged the whole transportation industry to a way that is more efficient, convenient and hassle-free. Uber has brought a revolution in the Taxi industry around the world. In this scenario, other Taxi service providers are adopting now Uber clone taxi app to give their customers a comfortable ride having a cab arrives straight to their doorstep or desired location in the least possible time. And Uber like taxi apps offer some more benefits than traditional taxi business. In our traditional way, Picking a taxi may need a bit of time, standing on the street and waiting for an available taxi to come by. After that, difficulties to direct the driver to proper destination in the case of unfamiliarity about the place. In end struggling to find change or money and wrangling with credit cards. In contrast, Uber like taxi services allows passengers to request a taxi from their smartphones, inform them when the taxi arrived near their place, feeds the details of the destination to the driver’s navigation software and lets the rider’s walkout immediately upon reaching the destined place. Ridesharing is the new travel culture offered by uber like apps. It’s the sharing of vehicles by passengers to lessen vehicle journeys, traffic jam, and carbon emissions. By having more people using one ride, ridesharing cut down each person’s travel expenses such as fuel costs, tolls, and the burden of driving. ridesharing is also an eco-friendly idea and it provides a sustainable way of transport as sharing rides reduce carbon emissions, traffic congestion and the demand for parking lots. Authorities usually promote ridesharing, Mainly during the times when the pollution rate is high or hike in fuel prices. Boost your Taxi Business by making cab booking process easy and by providing hassle free payment options.. Taxi Apps provide both cash and e-wallet payments that allow you to transfer fare online. 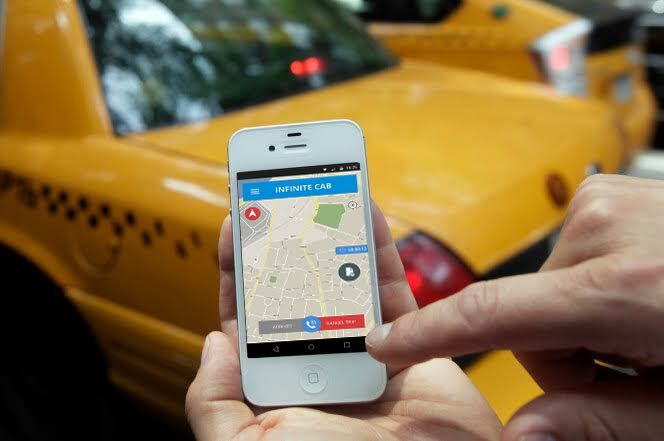 Many taxi companies like uber provide the facility for advance booking through smartphones. it also provides options to cancel the booked trips without any difficulty and can delay the times of taxi arrival to furthermore has of riders request. Option to Share your Estimated time of arrival, the route map is very useful these days. By sharing ETA and route map to your friend or the person’s who you are going to meet to, these people can schedule their program’s and activity according to this information. Why Uber like Taxi App is the best? Uber is the well-known and successful transportation service provider using the taxi booking app. Commuters always prefer this kind of reliable service to get the ride. Building Uber like Taxi App gives you the same features available in Uber. Uber Clone App is the perfect to run Taxi Business with the native mobile features such as GPS, Push Notification, Geo-Fencing, Mobile Payments, etc. If you are owning or planning to start a Taxi Business using Uber like Taxi App, we provide the complete solution for the customized Taxi Dispatch Software that can match your taxi service requirements. Explore the free Taxi Dispatch Software Demo to each web panel and mobile apps. How much does it cost to build an Uber like App ?